The Raramuri or Tarahumara live in the mountains of Chihuahua and Durango. They are the largest group of pure Indians in Mexico. Their language is of the Uto-Aztec family. They are farmers, shepherds and hunter-gatherers. In winter they retire to houses and caves in the deepest canyons. In spring they move to the Sierra. They celebrate this event with the Teshuinada to start the farming year. 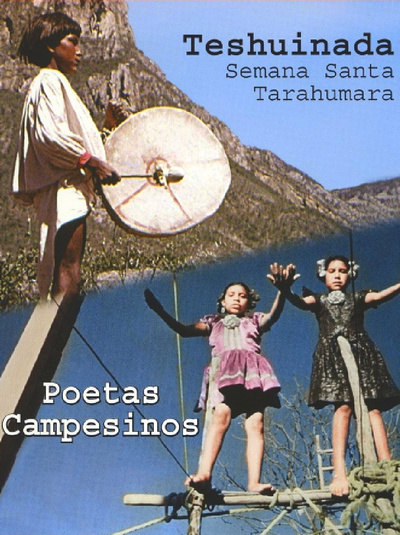 This film was made in the Holy Week of 1979 in Munerachi, a town in Batopilas, Chihuahua. This film was made in San Felipe Otlaltepec in the Mixtec region of Puebla, an area with an important artistic tradition. The protagonists are Popoloca peasants who have preserved their dialect to this day.